I had been meaning to read this book for a long, long time. It’s bookish subject of a young woman brought up in a bookshop, persuaded to write the biography of mysterious writer Vida de Winter was immediately going to appeal to my interests. 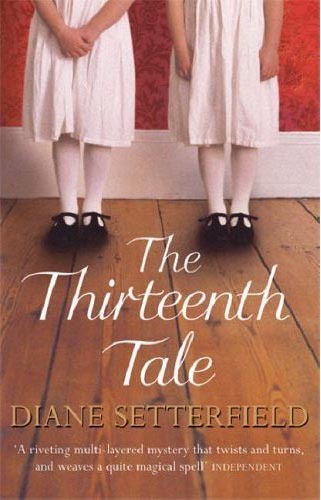 I hadn’t expected the novel to be so Gothic – and I LOVED it. The references to Jane Eyre, Lady Audley’s Secret, madwomen and ancestral homes and family secrets. It was an engrossing read and will appeal especially to fans of Gothic fiction. 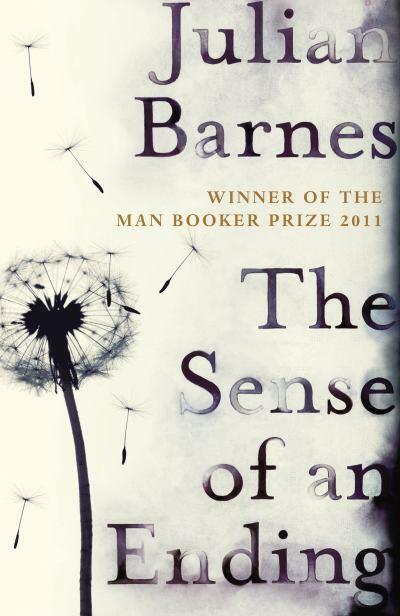 Another that had been on my list for a while, in fact I think it’s one of the only books from my 2012 Reading List that I have read recently. I seem to have been neglecting that list… But I digress. I enjoyed this book and its take on how past events shape us and the distinction between documentation and what our memory tells us happened. Something I think I would like to re-read. 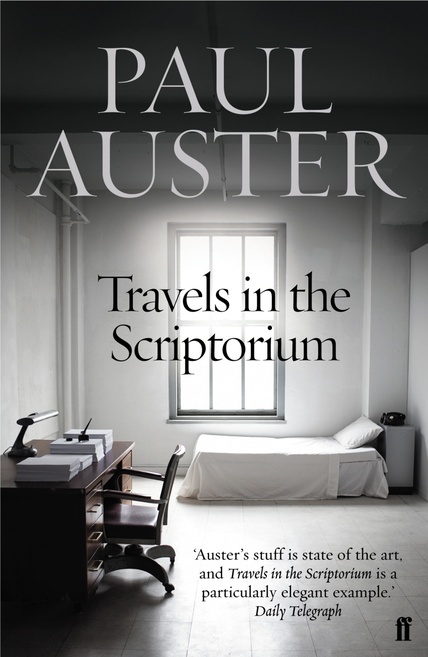 I’ll admit I was disappointed with this one – I usually love Auster’s playfulness with words, structure and character but in this novella it just all seemed a bit over-done, like an explorative exercise rather than a story. It intentionally plays with the reader’s perception but I think it was just a bit too post-modern for my tastes. I wasn’t in the mood for it, I think – might take a break from Auster for a while after this! I have been wondering recently about how other bloggers approach the writing of a book review. My strategy varies – sometimes I take notes while I’m reading (this is usually quite obvious in the style as these reviews feature lots of quotes), other times I just sit down and write the review, without having taken many notes. I have several reviews, half-written, awaiting quotes or references to events in the novel and a pile of books that I haven’t written reviews for yet. I’m not sure how best to approach this problem. For recent reads, I’m planning to do a quick summing up of my thoughts on the books – I hate having un-reviewed books piling up and the longer they wait, the less likely I am to write them. I think I’m actually worse with novellas, they’re short so I always think ‘I’ll definitely remember where that sentence I really liked was’. This rarely happens. I think I need to be a note-taker, a page-referencer. I don’t generally write in the margins, and prefer to write notes on paper, although of late my 2 and a half hour round trip to work has resulted in many mini book reviews saved in Notes. This has been working well for me recently, as well as spending my lunch hour writing. It’s nice to know that I always have some dedicated time during the day to spend working on this blog. A bit of structure works for me, it seems. If you are a blogger, how do you approach your reviews? Are there some books which you don’t write about, and just savour the book while you’re reading it? Or do you review everything, keeping meticulous notes, references to passages you like? I am intrigued, and would love to find out a little bit more about others’ approach to book blogging. 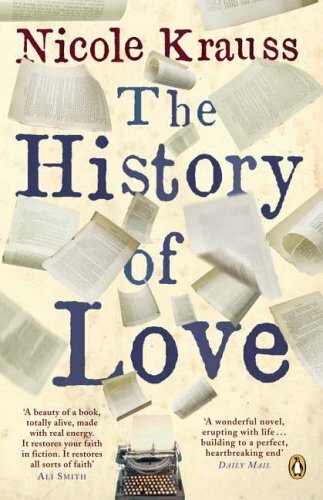 I had heard good things about Nicole Krauss’s The History of Love and it had been on my To-Be-Read list for a while, so when I stumbled across it last week in my local Oxfam bookstore I grabbed it greedily off of the shelf. I was not disappointed. In fact, I think it might be one of my favourite books of the year so far, and that it has changed the way that I feel about reading and writing. But first, what is the story of The History of Love? In New York, Leo Gursky, a Polish immigrant is living each day as it comes, trying to survive in a lonely world, spending his days going out just in order to be seen and prove to himself that he still exists in the world. He passes the time thinking about his first and only love, Alma, and desperately trying to hold on to anything that connects the two of them. Meanwhile, Alma Singer, a fourteen-year-old girl is trying to deal with her own loneliness and grief after losing her father, and help her mother through her grief. She spends her days researching how to survive in the wilderness, keeping her father alive in her memory as he had been a bit of an adventurer. Her brother, Bird, is losing himself in Jewish religion and clinging to a janitor as a replacement for the father he barely knew. Alma’s mother is a translator and has recently received a request to translate a book called The History of Love, written originally in Spanish by a Polish writer living in Argentina. The book had been given to her by her husband in the first days of their relationship and feeling a special sentimental attachment to it, she agrees. What follows are stories of lives that intersect and influence each other, leaving behind a trail of coincidences, contradictions and fictions.